True heroes know no bounds! 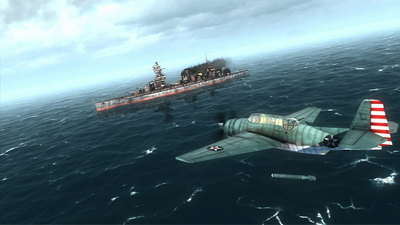 Experience top combat action in this brand new arcade flight sim and become immersed in the exploits of famous aircraft carriers. Choose the side you want to play on: the US Navy or the Imperial Japanese Navy. 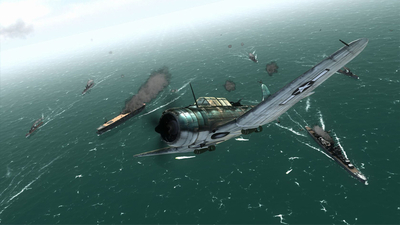 Climb into the cockpit and re-live the most famous battles of the War in the Pacific. Equip your aircraft with realistic weapons, and take to the air with your squadron. 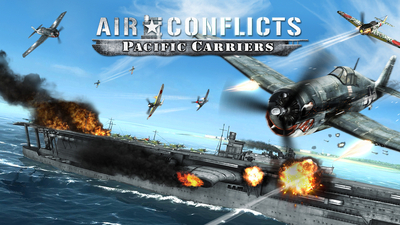 Get ready for breathtaking air battles over the Pacific! Experience the history of an aircraft carrier first hand! Master thrilling missions that focus on gigantic warships and their captains. Take command of entire squadrons! Instead of controlling just one airplane, you can control all of the planes in your squadron. Experience the most famous battles of the War in the Pacific! 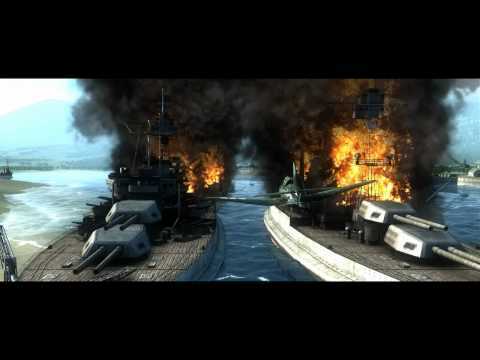 Place yourself in the middle of major battles such as Midway, Pearl Harbor, and Wake Island. Gaming enjoyment without end! Master the campaigns alone or prove your pilot skills in 4 different multiplayer modes. Air Conflicts: Pacific Carriers is a straightforward flight simulator that throws you into the heart of World War II dogfights and looks good doing it.